Just 2 weeks to go until we open our fantastic new showroom. It's nearly up and running and we can't wait to show it off! 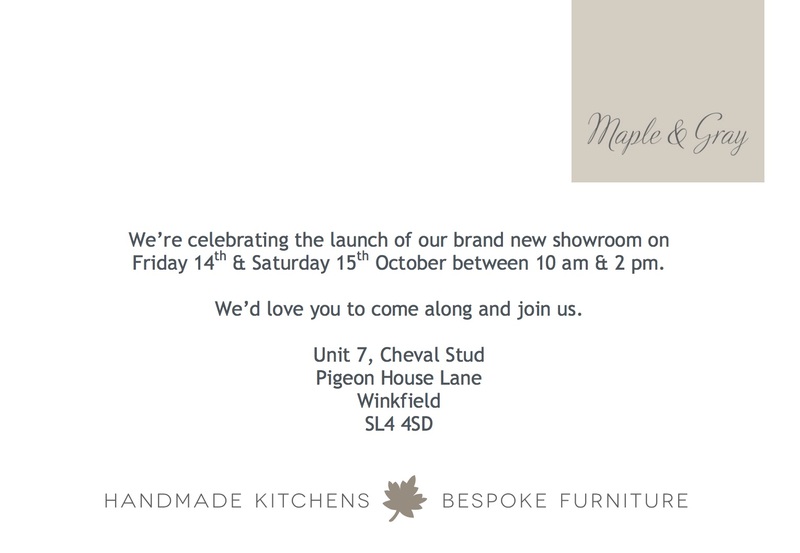 We're holding a couple of open days to mark the occasion and we’d love to see as many people there as possible so spread the word, pop along for a glass of bubbly and see our gorgeous handmade kitchens and bespoke furniture first hand.